The AKRP-Team is looking for lost works by Angelica Kauffman. To create a complete catalogue raisonné, we are looking for paintings, drawings and prints, as well as for copies after Kauffman’s works or arts and crafts, porcelain, furniture, which has been decorated with designs by Kauffman. We guarantee discretion in every respect. The AKRP-Team is grateful for any advice. 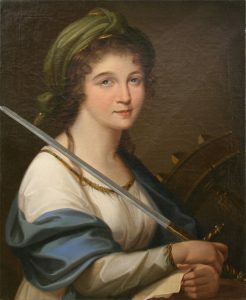 The AKRP is looking for the original oil painting Saint Catherine by Angelica Kauffman after which Johann K. Rick painted his copy in the mid nineteenth century (see ill.). Rick’s copy is in the holdings of the vorarlberg museum in Bregenz. 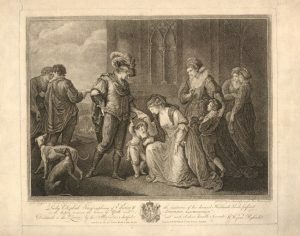 The AKRP is looking for the original oil painting Lady Elizabeth Grey imploring of Edward IV the restitution of her deceased husband’s lands, forfeited in the dispute between the houses of York and Lancester. The painting was temporarily on the art market, but its whereabouts are presently unknown. 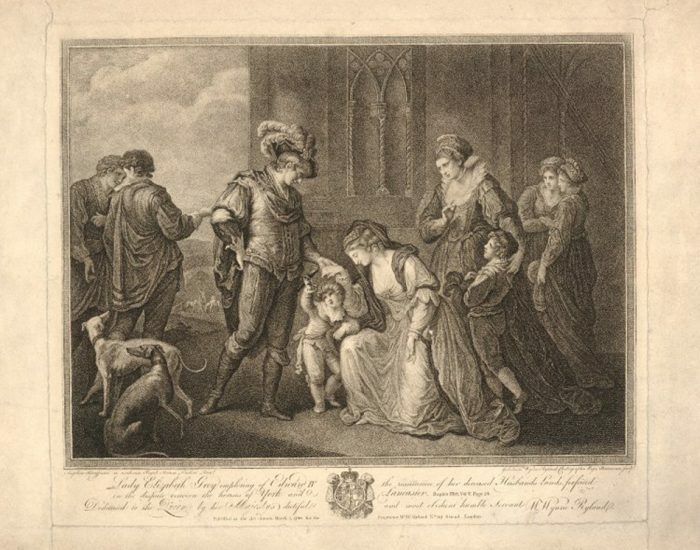 It is known to us only through the engraved copy of 1780 by W. W. Ryland (see ill.). The writer Friedrich Gottlieb Klopstock (1724–1803 Hamburg), presumably executed around 1770.